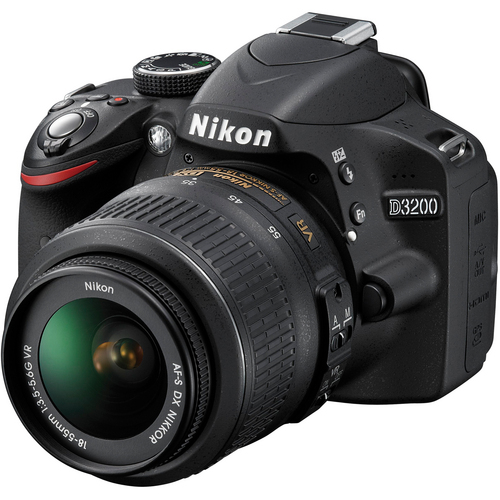 The Nikon D3200 is a 24.2MP DSLR capable of shooting 1080p HD video. It offers an expanded sensitivity range of ISO 100-12800 and will capture still images at a rate up to 4 fps. HD videos are captured in either 24p or 3op frame rates. The D3200 features an 11-point AF system and is compatible with the Nikon WU-1a Wireless Mobile Adapter, which allows image sharing with Android devices (iOS devices are planned for future integration) and remote operation from the device. The Nikon D3200 retails for $699.95 with an 18-55mm VR kit lens and should be available in May. Check availability at B&H Photo.